The best things happen when people pursue their dreams. Consider the story of Eric Werner and Mya Henry, an intrepid young couple who gave up their restaurant jobs in New York City to start anew in the one-road town of Tulum, Mexico. 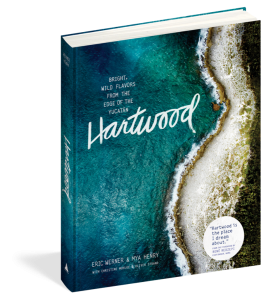 Here they built Hartwood, one of the most exciting and inspiring restaurants in the world, where the cooking is done over wood fires. Mya Henry took on the role of general manager, seeing to the overall operations and tending to the guests, while Eric Werner went to work magic in the kitchen.